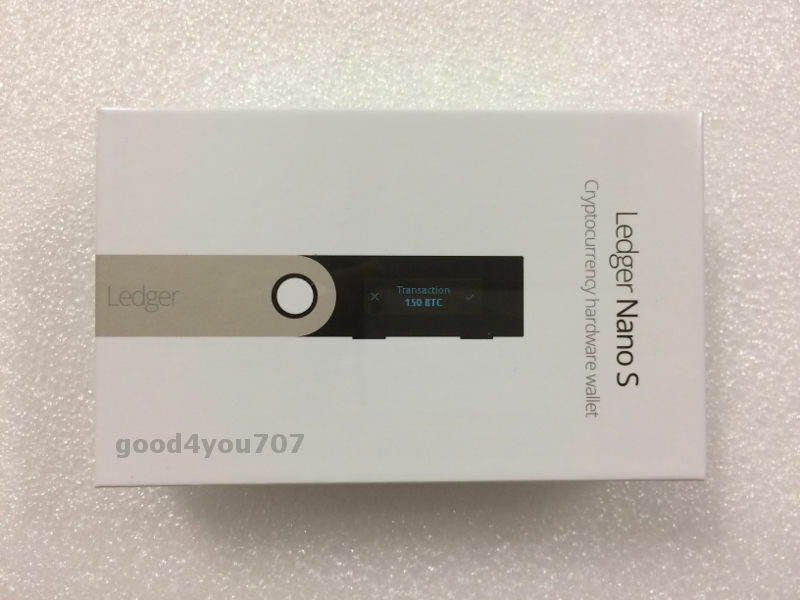 Ledger Nano S is a Bitcoin, Ethereum and Altcoins hardware wallet, which makes it easy to secure your cryptocurrency in a way that makes it simple to access. In this post, we will review the product and determine whether it is suitable for storing your cryptocurrency. With the price of Bitcoin hitting a new all-time high of $19000 recently, I thought now would be a good time to purchase a hardware wallet to secure my bitcoin. After doing some research on various makes and models I decided to go for the Ledger Nano S and in this post, I will give it a review. The Ledger Nano S is powered via a USB cable. When plugging in for the first time you will be presented with an easy to follow configuration wizard, which is all done on the device via the built-in display. Since the device is fully configurable by the display and buttons on the device, it’s possible to do the initial configuration without connecting it to a PC. The first thing you will be asked is to choose between restoring a previous configuration or starting a new configuration. After selecting new configuration you will be asked to enter a PIN and then confirm it. This PIN will be required to access your funds and if it’s entered wrong 3 times the device will reset. This is a handy security feature that will make it difficult for the seed words on a lost or stolen Ledger to be retrieved from the device. Once the PIN has been confirmed, the built it random number generator will generate a random list of seed words that you need to write down on a piece of paper. Once written down, you will be asked to confirm a couple of the seed words and then once verified the device is ready to use. WARNING: don’t trust the verification mechanism of your seed words. In my experience, it easy to make a mistake writing down a word and the full restore will not work. Once you have written the seed words down do a full restore to test them. It will take a little longer but it’s worth it to make sure your funds are safe. With the Ledger Nano S configured you can now send/receive funds by using a supported software wallet that communicates with the device. I’ve found the official app by Ledger is good as a basic wallet, however, you might want to use something like Electrum for more advanced features. Entering the PIN is done on the device. Transactions must be confirmed from the device. Multiple cryptocurrencies are supported like, Ethereum, Zcash and Bitcoin Cash etc. Fully configurable from the device. A note on plausible deniability. This is an option that lets you assign an additional password that scrambles the initial seed words and is linked to a different PIN. This means you can have a hidden wallet that stores most of your funds, therefore should an attacker manage to extort your seed words they will only have access to a small balance. The other thing I like about this feature is it helps me sleep at night knowing that if the random number generator is not truly random only the funds with the initial seed words can be stolen because the custom passphrase adds some extra entropy. The only issue I’ve found with the Ledger is the seed words verification mechanism. I noticed that it only asks you to confirm 2 seed words that were written down and then it verifies ok. However, I wanted to make sure and did a full restore which failed. This is because I had written down one of the words incorrectly. It took me a few attempts to get it right. So far I’m really happy with the Ledger Nano S.
At first, I was a little reluctant to rely on the built-in random number generator to generate a unique list of seed words because of some of the horror stories I’ve read with different wallet implementations not doing this correctly and people losing funds. However, after doing a little research on the chip and algorithm used, I’m confident the implementation is generating unique seed words especially combining it with a custom passphrase. Now I can sleep easy knowing my private keys are safe. If you have any questions or comments about the Ledger Nano S, leave them in the comments below.